Rae Lewis-Thornton: Diva Living with AIDS: Tap Into The Resources and Live Well Beyond HIV! I'll take aging with HIV over not aging at all any day. Now that's some real talk; but I have to be honest, muddling through HIV requires a lot of energy, work and support. Over the years, I've been fortunate enough to have a team of wonderful people to help me manage living with HIV, from understanding my medication to my emotional well being. I want what I have for everyone living with HIV, that is to create a support system for themselves in all areas of their lives. What I know for sure, is that living with HIV in isolation will create depression, which creates its own set of issues. You all may recall in my blog post, "Grey Hair and I Don't Care," I talked about the need to access resources as one ages with HIV and the wonderful resource page Well Beyond HIV. Well, I'm continuing to partner with the team over at Walgreens. They invited me over to learn about the services they provide for those living with HIV. 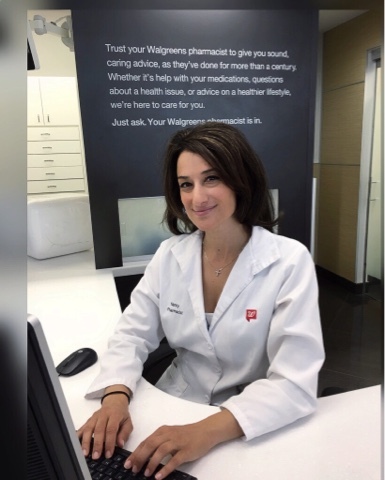 I was really impressed with their Specialty Pharmacy and that don't come easy with me. I had a wonderful conversation with Nancy Salman who is the pharmacy manager at the Walgreens Specialty Center on Randolph and State in Chicago; which is one of over 800 Walgreens specialty pharmacies around the country. Nancy is an "HIV Specialist," and let me tell you, her knowledge matches her spirit, on point. What the heck is an "HIV Specialty Pharmacist?" Glad you asked, it’s a pharmacist who has had additional training in understanding HIV clinically as well as medications, side-effects, adherence, I mean the whole shebang. For sure at the top of the list of managing HIV is compliance with one’s antiretroviral medication, HAART. Nancy agrees, she said, "The single most important advice for those aging with HIV is compliance and adherence." Compliance I believe is so connected to understanding your treatment plan. That means not only taking your medication as prescribed but accessing the additional support you may need to make compliance easier. Compliance in most cases leads to viral suppression and that means a longer life span, but muddling through takes not only energy but understanding. For example, there are non HIV medications both prescription and over the counter that interfere with the deliverance of HIV medication in your blood stream and vice-versa. Let's take my drama around being premenopausal. Yep, another issue of aging that will happen for every woman. But as an HIV infected woman it's been non-stop drama. My hot flashes have been so bad I've wanted to strip my clothes and run down the street in the dead of Chicago's winter. As I try to get a handle on the issues around menopause, I've learned that women with HIV have more difficult menopauses. Even severe hot flashes to the point that it interferes with their daily life style and even compliance to HIV medication. Then I learned that one of the HIV medications that I take actually reduces the levels of Hormone Replacement Therapy (HRT). SHUT UP! While talking to Nancy I was trying to recall the name of that antiretroviral medication, which interferes with Hormone Replacement Therapy (HRT) and before I could get it out of my mouth, Nancy said, "Prezista" WOW, I really was impressed. 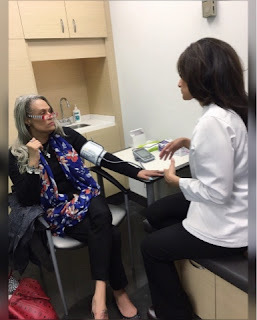 I've spoken with OBGYN's that didn't even know that there was an issue with HIV medications and HRT or the fact that women aging with HIV entering pre-menopause needs to be assessed differently. I currently take 3 times the amount of HRT medication to balance the effect that my HIV medication has on my treatment. A more detailed blog coming soon on menopause and HIV. For sure accessing resources is important and Walgreens pharmacy is a one stop shop. They are culturally sensitive. They have private rooms where HIV infected patients can ask the specialty pharmacist questions not only about medications, but side-effects, compliance and the list goes on. Nancy says she helps her patients with issues such as compliance to customizing their treatment with other non-related HIV medical issues. 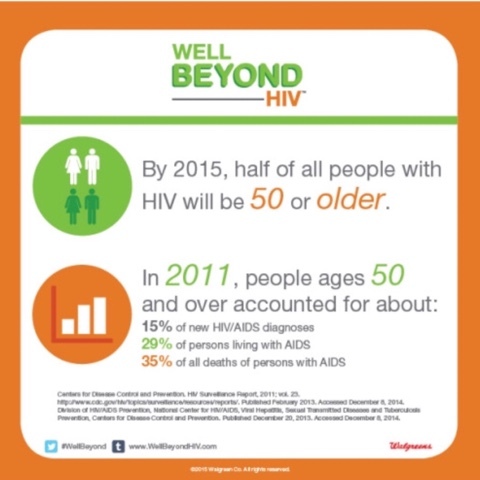 This is important because people aging with HIV have about a 20% higher rate on co-mobility issues, such as heart, high cholesterol, diabetes and non HIV related cancers. She says that helping to customize care is important. Especially those HIV medications that cause other issues like Renal Disease. She also helps her patients access coupons for their medication so they will not have a lapse in treatment. WIN! For sure this one on one relationship creates a safe and confidential environment for people with HIV. These types of services are extremely important, especially when you only see your infectious disease doctor once every 3-6 months. Having someone in my case, just up the street to answer my questions is important. 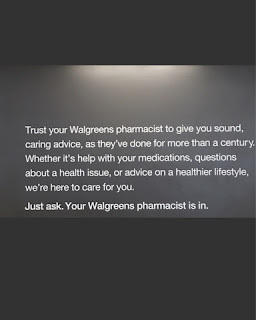 I know my own experience before I take any over the counter medications, I ask the pharmacist at Walgreens. Now at the Specialty Centers, the pharmacist sits out front. How cool is that to not have to ask for the pharmacist to come up front? Nancy explained that they stay well connected with their HIV patients, especially those newly diagnosed. That's important because 35% of newly diagnosed patients stop treatment within 90 days. *I know right, I thought the same thing when I heard that stat at an HIV talk about aging with HIV. * Nancy says that they text, call and email depending on the best way to reach each patient. I have to tell you as I hit senior citizen age, I'm learning that those aging with HIV have their own set of issues. I will be tackling this topic more and more, not only for those of us who have aged with HIV but also that younger people living with HIV will understand what's down the road and what they need to do in those early days to preserve those later days. For sure, the right resources are an important step to living well with HIV. 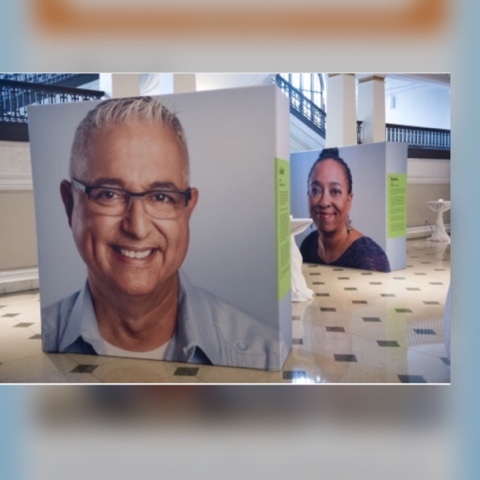 I continue to be amazed at the growth with advancements around HIV in the 35 years since the first cases where reported by the Center for Disease Control. My biggest advice to those greying with HIV, whether you've been infected for years like me, or a senior newly diagnosed. You cannot do this alone, tap into the resources so that you can live well beyond HIV. 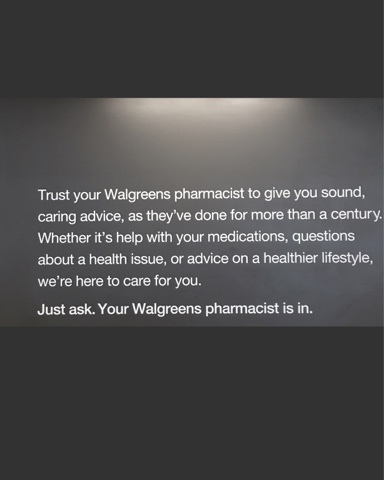 I was sponsored by Walgreens to write this blog post. All opinions expressed are my own.